The UK voted to leave the European Union (EU) or to Brexit (British exit) in the referendum on 23 June 2016. However, we haven’t left the EU yet. First, Prime Minister Theresa May has to do something called trigger Article 50 which means she writes to the EU to tell them the UK is leaving. Then there is a two-year negotiating period before the UK actually leaves. Theresa May will trigger Article 50 on March 29, 2017. 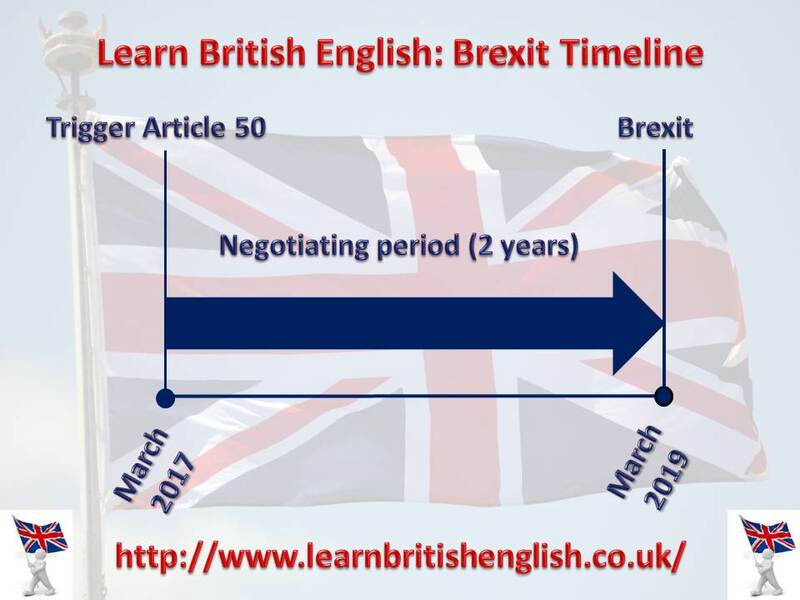 This means that the UK will leave the EU two years later in March, 2019. This is when Brexit will take place.